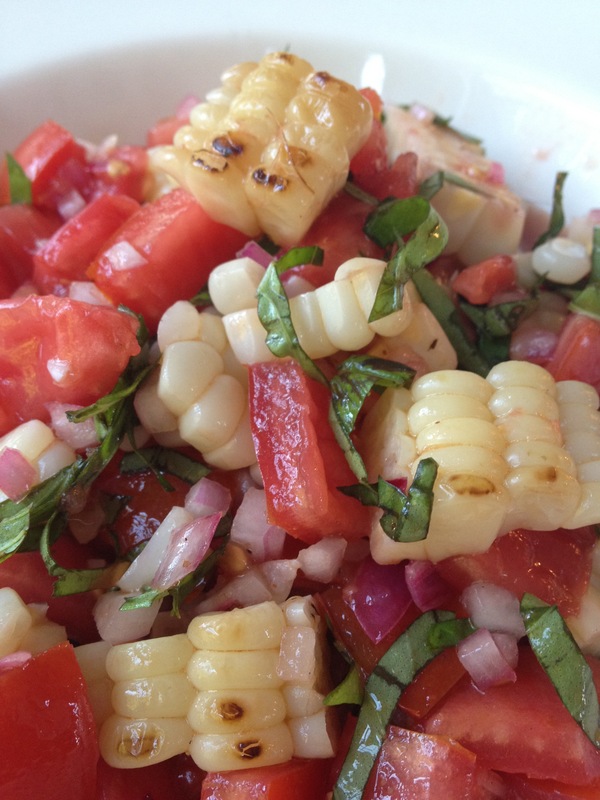 In the heart of corn and tomato season, this is my go-to salad/side dish/topping for grilled chicken. 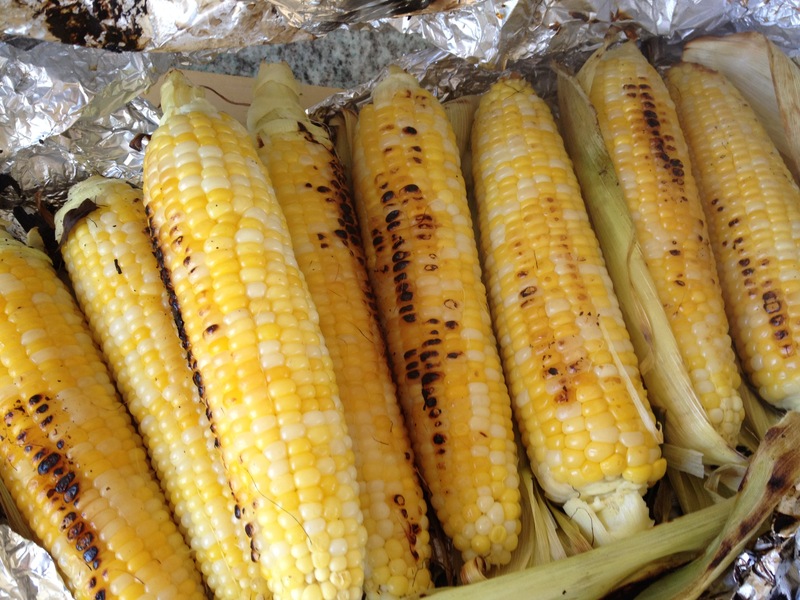 Grilling corn (or just about anything else) in foil packets provides an extra buffer from the heat and makes for extra-easy cleanup. 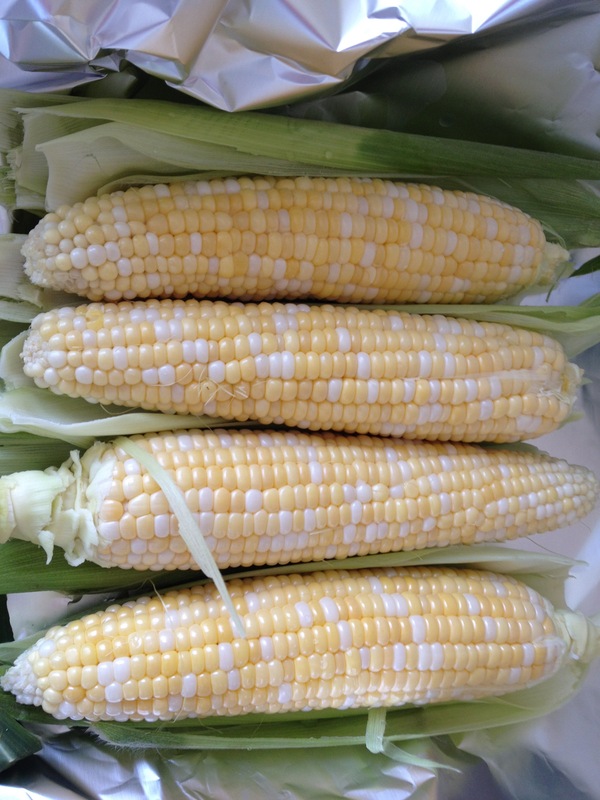 Since the corn is easier to handle and cut off the cob when it’s cooled, I’ll often grill extra corn for dinner one night and set some ears aside for this salad the next day. And because tomatoes shouldn’t be refrigerated (their texture can turn mealy), this salad is best made shortly before serving. It can, however, be kept at room temperature for several hours. 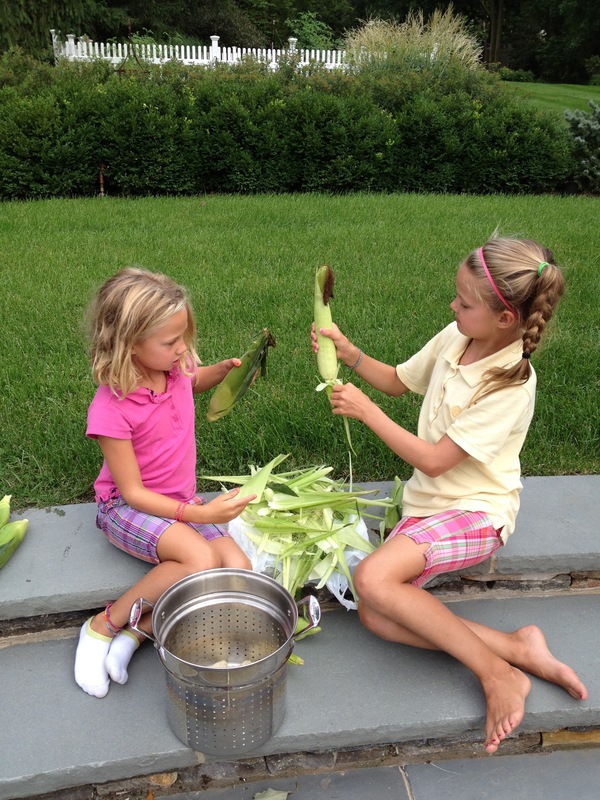 To make shucking corn easier and less messy, send the kids outside with this “fun project”. Heat grill to medium-high. 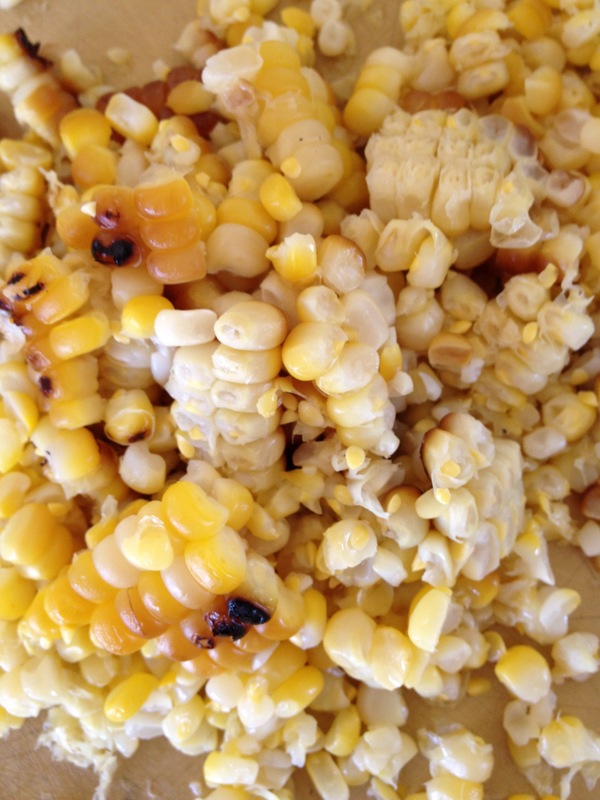 Arrange shucked corn ears on a large piece of heavy duty aluminum foil. Place a few husks under the ears for extra protection and flavor (optional); seal foil packet tightly and place on grill. Bi-color corn is especially beautiful! Cook for about 5 minutes, then flip packet to cook the other side for another 5 minutes. Take packet off heat and let cool a few minutes before opening packet. When corn is cool enough to handle, cut off the cobs. Add corn to large bowl. 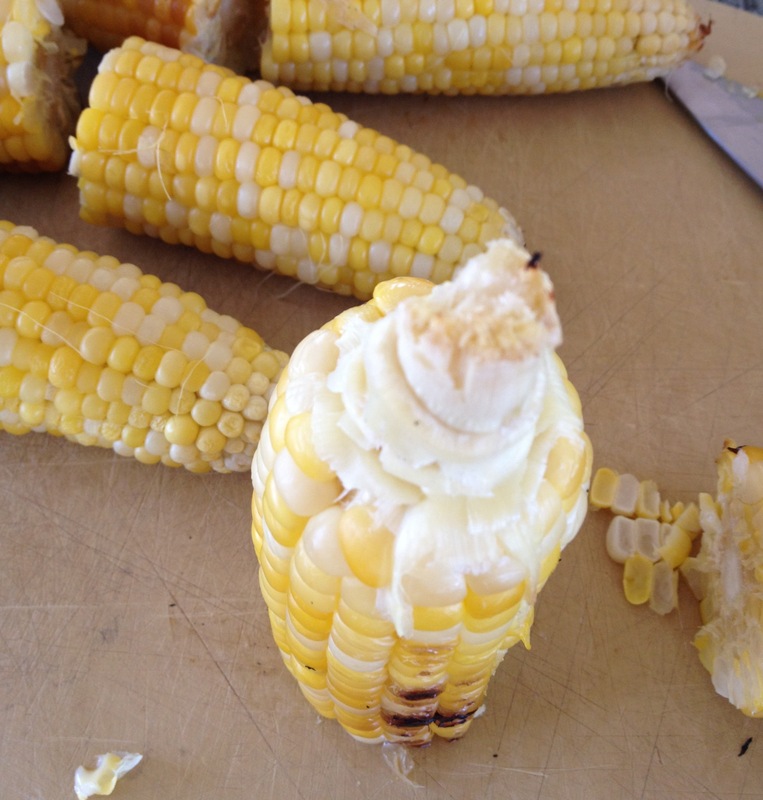 I break ears in half for a more stable base for cutting off the cob. 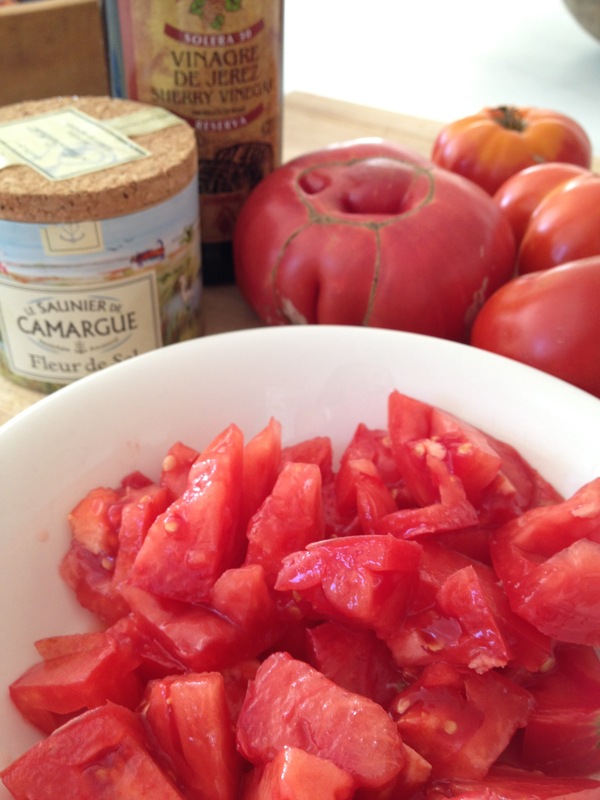 Summer beefsteak tomatoes are so juicy and flavorful, sometimes I’ll make “tomato soup” for lunch: beefsteak tomato, sprinkled with sea salt and drizzled with a little sherry vinegar. 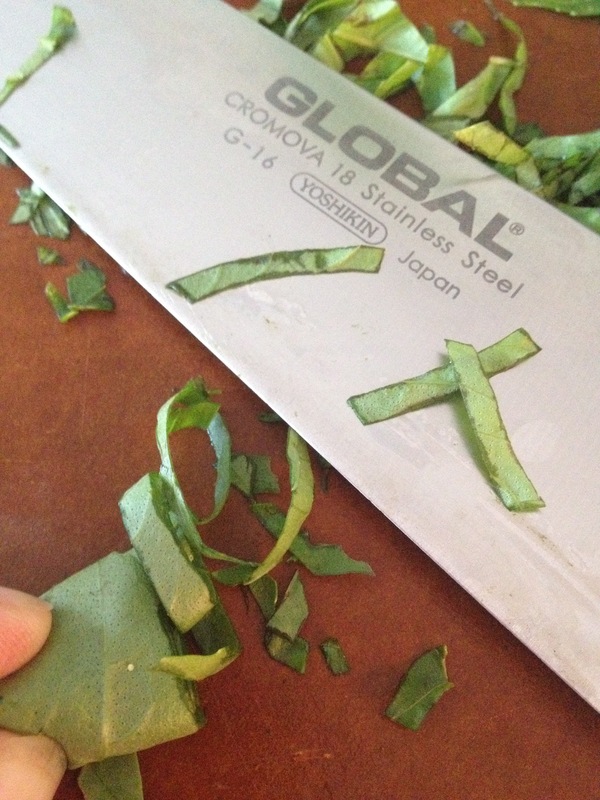 To make chiffonade, roll up a stack of basil leaves and slice thinly. Taste and adjust seasoning if necessary. (Extra-large tomatoes might require an extra pinch of salt.) Serve right away, or keep at room temperature for up to 4 hours. 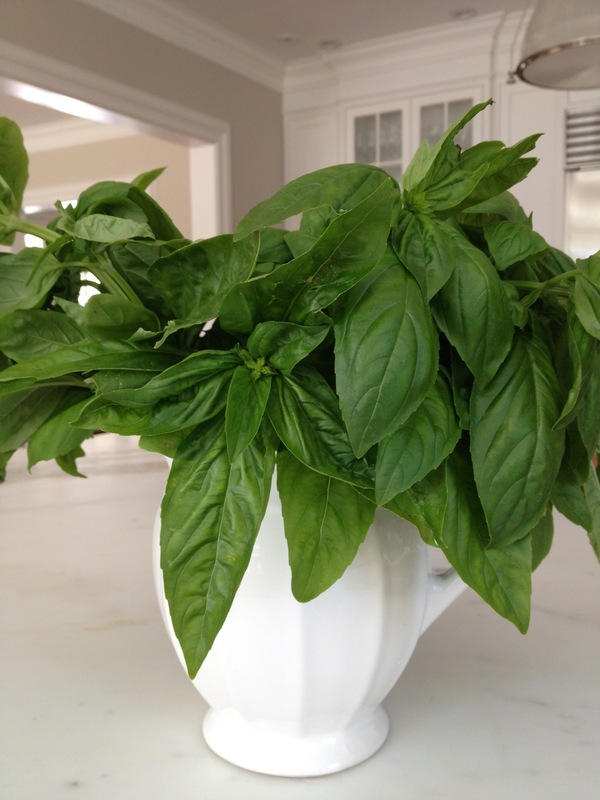 PS – Freshly cut basil stems make a country-chic countertop arrangement! This entry was posted in On the Grill, Salads, Vegetables and tagged basil, corn, grilled vegetables, summer salads, tomatoes, Vegan, vegetarian by subeeskitchen. Bookmark the permalink. Oh ! That looks YUMMY !!! And makes me want to cry for American summer ! No corn on the cob here – well, at least not easy to find. But you’ve inspired me to go off to China town and see if I can suss it out ! Bon appetit ! Or hop a plane – the Garden State awaits you!